Every event we attend is an amazing new experience. You'll see new pictures and videos posted here as we hit new events. Huge thank you for all of our fan support along the way, we couldn't do this without you guys! Take a look through the galleries on our menu. New pictures will be posted as soon as they're done so check back to see what's new! Patrick Rasmusen Jr. often paints live at his shows so fans can see how his masterpieces come to life. Here he's having fun at the Utah state fair getting ready to throw some paint. Rob Prior and Patrick Rasmusen both using an airbrush instead of paint. It was hard for Rob to use only one hand while he painted! 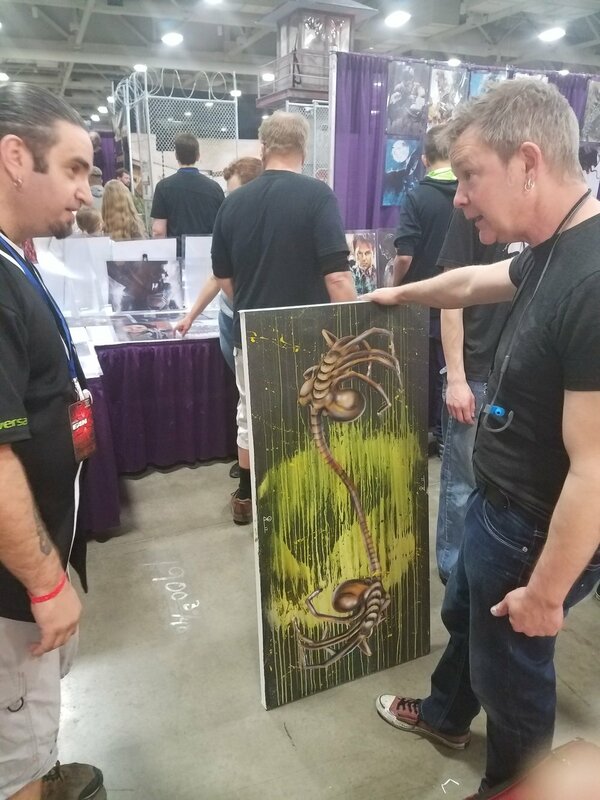 Patrick Rasmusen gifted an original painting to Rob Prior to say thanks at SLC Comic Con.